Thank you for your kind words Lauren. Completely off topic, I think we have the same Kindle case! lol This book sounds great, I loved the fault in our stars so i think i need to check it out. Thank you for the review. Off topic is never a bad thing lol. Oh is purple tour fave color? 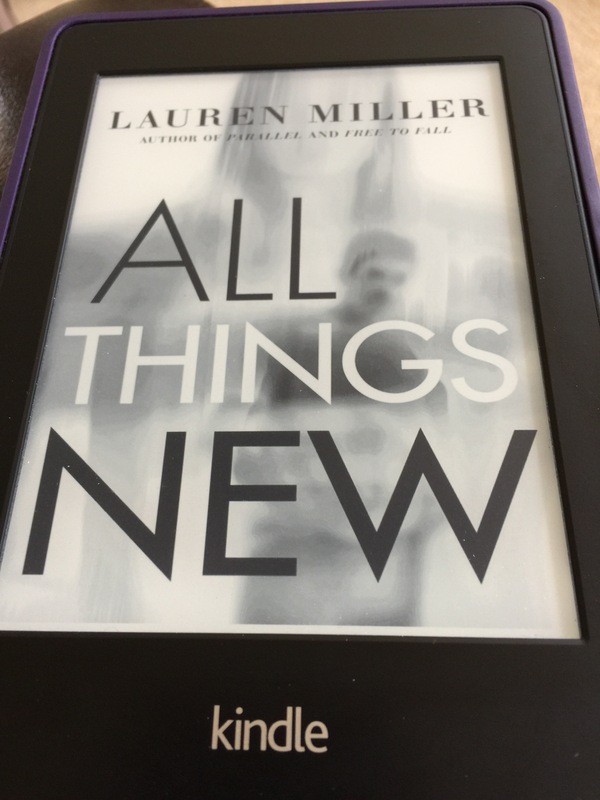 Yes, All Things New comes out tomorrow, so definitely go find a copy. It’s a lovely book I hope they’ll make into a movie. Oh good. Back when I bought my Kindle the options were black or purple.